This CV is extremely functional and to the point. 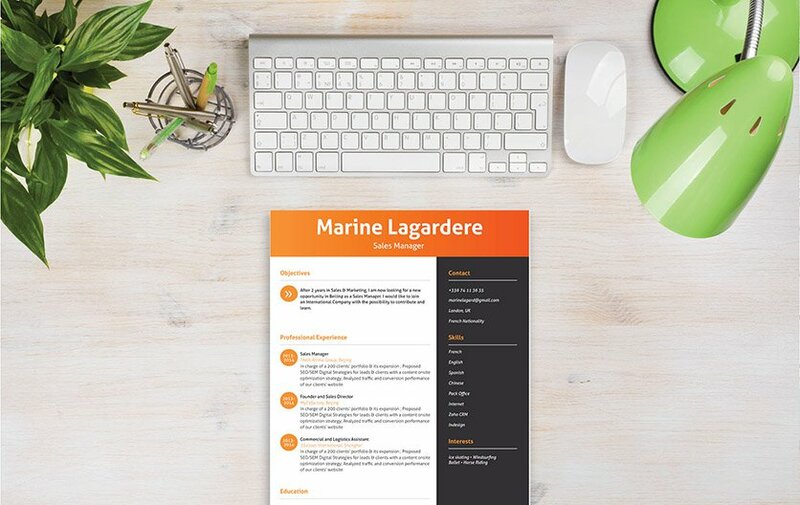 CV template to download "Optimist"
The Optimist Resume has great functionality partnered with a modern design that is sure to get the attention of your potential employer. 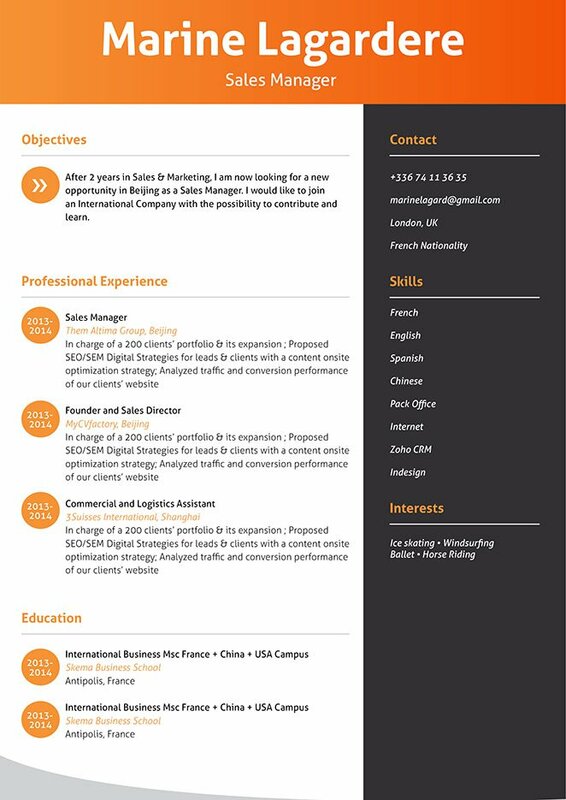 This resume features a selection of colors and shapes that excellently showcases all your qualifications in an easily understandable manner for the reader. This resume has a simple and comprehensive format that is perfect for any job type out there. With this resume you are sure to get that dream job of yours! Write your resume in a short, but substantive manner, by having a resume with this kind of writing style--readers will be more likely to read it thoroughly, which will greatly increase your chances of getting the job! With today's digital age, readers expect a style of writing that can convey a full thought within a short amount of text. Most readers will lose interest once they reach a fifth line of text without receiving a self-contained message they can take away. To go around this, have each section of your resume short, but dense with information. Break down complex paragraphs into smaller, bit-sized pieces no more than five lines long.